"Jurassic Park," one of the highest grossing film franchises in motion picture history, begins filming its third installment Wednesday at Dillingham Air Field. The Universal Pictures and Amblin Entertainment production will divide its time over three weeks between Oahu and Kauai and do aerial photography of Molokai's North Shore cliffs. After the Hawaii filming, the production moves to the Universal lot in Los Angeles to finish. The Molokai footage will be shot Sept. 5-8 and apparently will be used in the beginning and at the end of the film, sources said. Some cast and crew members will celebrate the production's start with a luau Sunday at the Royal Hawaiian Hotel. The production will not film at Kualoa Ranch -- where a major scene in the original "Jurassic Park" was done -- in part because the MGM picture "Windtalkers," starring Nicholas Cage, is being shot there. Most of the Oahu "Jurassic Park" filming is being done at four locations along the Windward side and the North Shore with the Dillingham site playing a major role. "JPIII" stars Sam Neill, who is reprising his role as Dr. Alan Grant from the original film; William Macy as wealthy businessman Paul; Tea Leoni as Paul's business associate; Trevor Morgan as Paul's 12-year-old son, Miles; and Alessandro Nivola, who plays a graduate student. Although specifics of the story have been kept secret, director Joe Johnston, who directed "October Sky," "Jumanji" and "The Rocketeer," has said "JPIII" will have "lots of flying dinosaurs," something that was missing from the first two films. The T. Rex and velociraptors will return, sources said. Johnston, the Academy Award-winning creator of visual effects on "Star Wars," "The Empire Strikes Back" and "Return of the Jedi," also shared an Oscar for visual effects on "Raiders of the Lost Ark." His first feature as a director was 1989's "Honey, I Shrunk the Kids." "Jurassic Park III" is being written by Peter Buchman, Jim Taylor and Alexander Payne. Kathleen Kennedy and Larry Franco are producing the film; Steven Spielberg is executive producer. Early working titles were rumored to be "Embryo" and "Extinction." The current title, "Jurassic Park III," may be changed before the film is released, an Amblin executive said. The original "Jurassic Park," released in 1993, filmed about three weeks on Kauai. Spielberg and company had one last scene to film on Kauai when Hurricane Iniki struck, forcing the production to film the scene at Oahu's Kualoa Ranch. The production company spent $4.5 million filming in Hawaii. The original film was followed by the 1997 sequel "The Lost World: Jurassic Park." The two films have generated more than $1.5 billion in combined worldwide box office revenue. 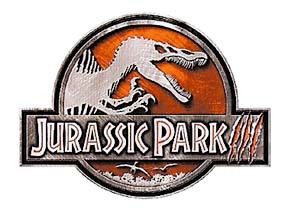 "Jurassic Park III" is slated for a summer 2001 release and is expected to be rated PG-13.